Web design is not a form of art, but a solution to a business problem, albeit with a bit of creative touch and artsy flavor. 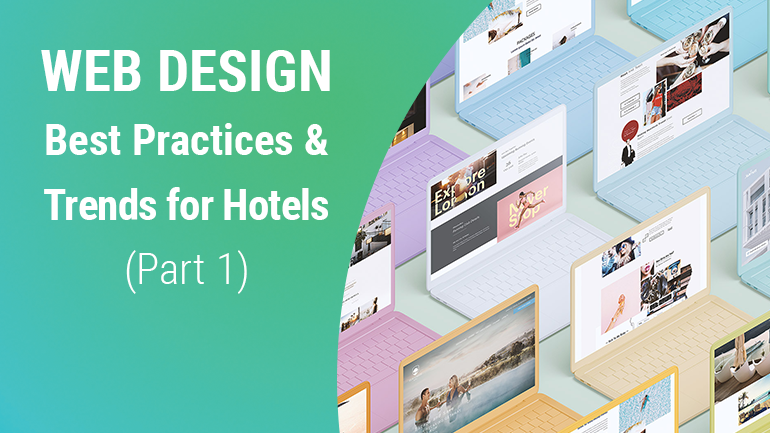 While there are many things hoteliers want to achieve with their website design, it really comes down to converting website visitors into bookers. So how do we do that? The age of smartphones, Netflix and Spotify has affected people in a way that no scientist could have predicted. In 2019 it became more evident that users have a short attention span and they want to find information and take action fast. According to some recent studies, even a Goldfish can hold a thought for a couple of seconds longer than humans. What does that mean to you as a hotelier? It means that your website has 20 seconds to capture a user’s attention. Let’s say your current site did a great job capturing the attention of your target audience, now we have about 1 minute 30 seconds to inspire the user’s curiosity. So, we got their attention and we made them curious. Now what? We need to convince them to book – and not through Expedia or Booking.com – but on your website. Sounds easy, right? Let’s get to the good stuff and see how we can make this happen. One of the most powerful tools for digital storytelling is compelling visual assets. Great video and photography is not a nice to have, but a must have to tell your story and convey the emotional experience. With the right photos, you can entice users to spend time exploring your site. With the right video, you can inspire curiosity, tell a tangible story, and set expectations for future experiences! Both mediums are great for that, but keep in mind that you have just 20 seconds to inspire the customer journey – so do it right. And while everyone is a photographer nowadays, your digital assets should be done professionally. Some things to think about . . .
Is there a wow-factor to an above the fold area of my website? Would it capture my attention if I would randomly land on this homepage? Does it make you want to scroll down? 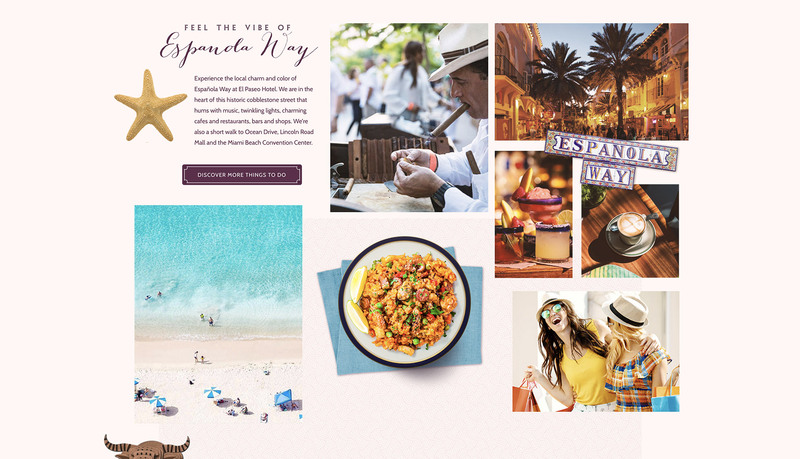 A great story is easy to digest, but also disrupts the user’s visual hunger so their taste for travel starts to grow. Since the attention span of an average user is short (we remember, right? ), we need to keep in mind that nobody reads long content on a website anymore. We “scan” it and in order to help our brain actually feel it, a website needs to provide simple visual anchors. One of the best ways to do that is to use un-organized grid systems that we call Organized Chaos. Other designers call it broken grid layouts or even Digital Mondrianism. In a nutshell, it is an invisible skeleton used by designers to place different design elements on a page. When a user’s eye scans the page it expects to see the same pattern of element placement over and over again, and when that pattern gets broken the user trips on it and voila – attention is grabbed! When used with playful caution, this technique can excitingly tell your story and can draw attention to specific features – and conversion elements – on your website. Does your website communicate clearly what it is like to be on the property? Does it provide an experience of what the day looks like if a guest stays there? Does it give enough visual stimuli for the user to envision themselves on the property? 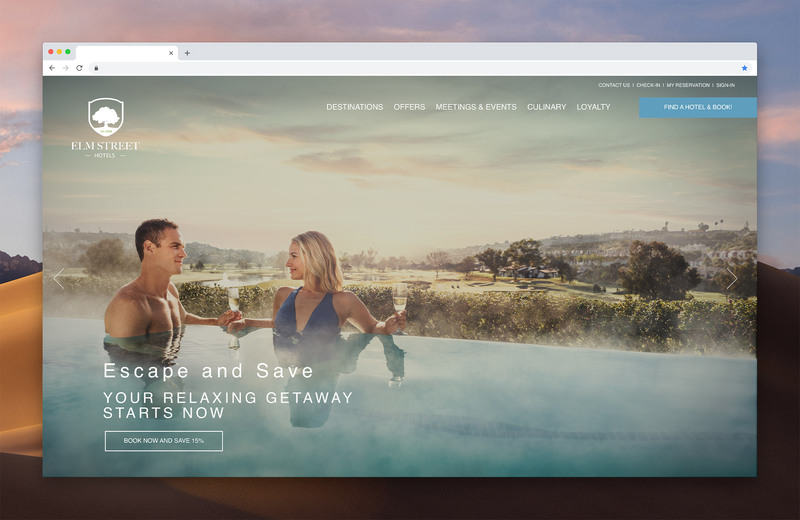 Generally, customers aren’t aware that the room rates of the hotel are most of the time the same as on the OTA websites for the same exact rooms. So, it’s important to be clear with your messaging and communicate the benefits of booking direct on your website. Explain what kind of perks the customer will get if they will book direct, whether it’s the lowest rates or a free drink at the bar. 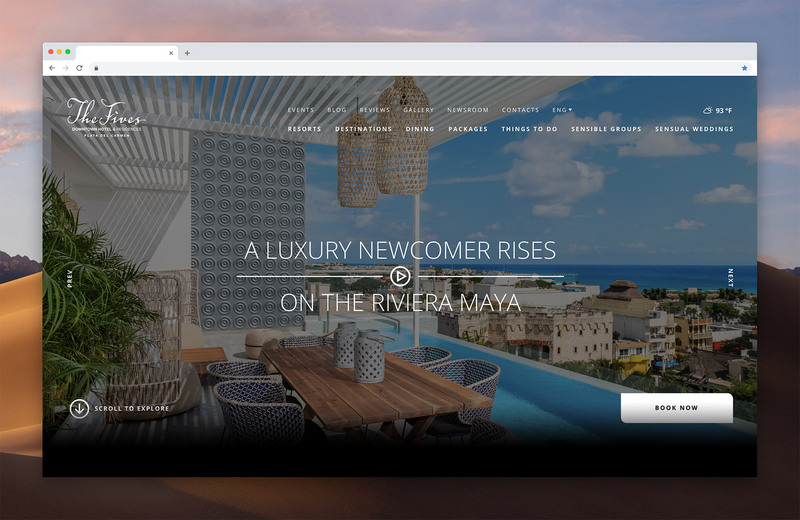 Show all the added benefits that a customer may receive and demonstrate the fantastic amenities by booking direct and not through a third-party site. Is it clear that the rate on the hotel website is at least the same as on OTAs? Does my website communicate the benefits of booking directly in an engaging way? If I would land on the website for the first time, will it convince me to book direct? Third party reviews can be a great tool to reinforce your message. 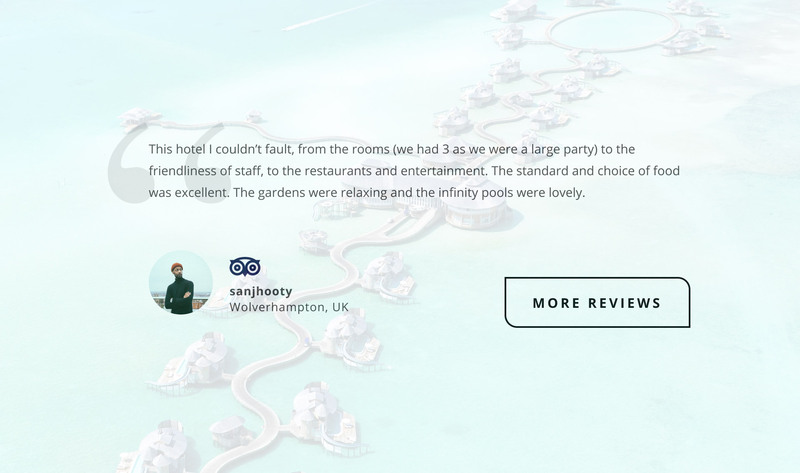 Feeding independent guest reviews from sites like TripAdvisor, Yelp, and Google may have a strong impact on how potential customers see your hotel. But be careful – don’t just feed just the positive reviews as having only 5-star reviews on your site will raise a credibility red flag immediately. After all, no hotel is perfect, and some guests will feel inclined to leave a pesky review so have those too. That will give your customers a feeling that you are open, honest and truthful with all those fantastic photos and videos.